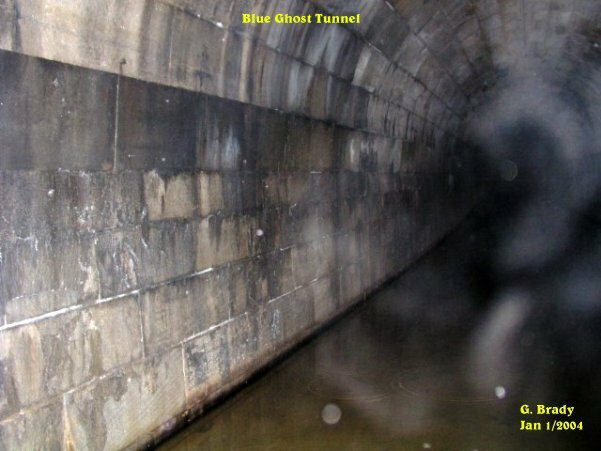 The pictures that are shown in this investigation have what we believe to be real paranormal content. This of course is our OPINION ONLY. It is up to the individual to decide for themselves if what we had captured on camera is real or not! All pictures taken were witnessed by those in attendance while they were still on the camera. With that said we hope you, the viewer, enjoy your visit to our site. Getting to the BGT was interesting, with the holiday traffic, and keeping your guard up with all the wacky drivers on the road. We did make it to the tunnel and it came as no surprise to find no one else was there. The tunnel seemed to be inviting this night, until we got to the spot where the beams are located. 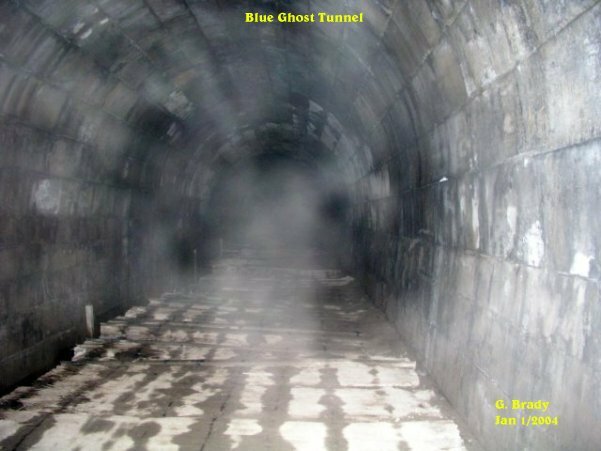 In this photo facing the beams you can see on the left an energy form was making itself visible. A little further on the right hand side another form was taking shape. 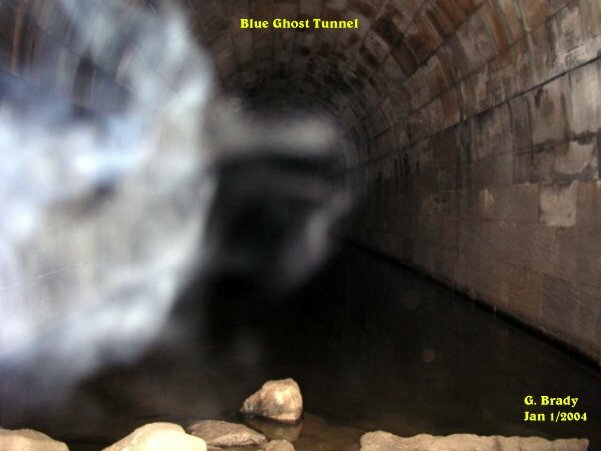 As shown in some of the other investigations at the BGT, there seems to be an entity that shows itself in the middle of the tunnel that comes towards me. I can't help but wonder what this means. Is it a train light that is said to have been seen in the tunnel by others, or is it something else? In this ecto shot there appears to be a shape forming into a person. When looking at the right you will see an ecto steam that comes from the wall and ends in the center of the ecto mist in the form of a person with a head and shoulders. 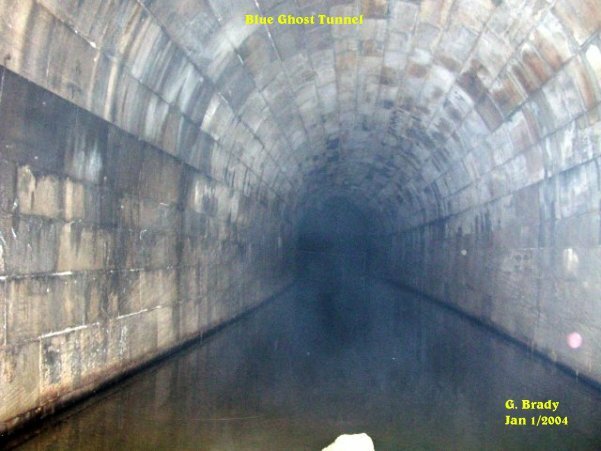 In the above photo it shows a light blue ecto plasm glow in the center of the tunnel near the back. The strange thing is that there is a shadow in the center of the mist. Was this a spirit showing itself in shadow form? An energy form making its presence known by the left wall of the tunnel. This spirit form had a lot of color to it as it was forming. This photo was taken at the very back of the tunnel. Some of the energy seemed to be heading towards the center of the tunnel. 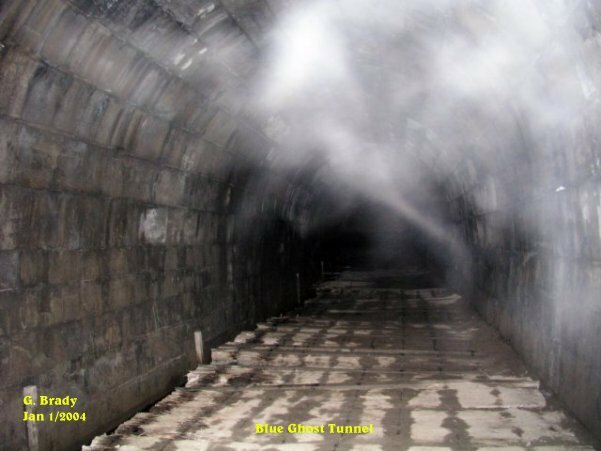 Again another light blue ecto plasm form taking shape in the center of the tunnel with yet another shadow form in the center. This time the form was much closer to us at the time the picture was taken. This photo is interesting. There was no water dripping in front of us, yet as this energy form was forming there were rings in the water. Was this created by the spirit? 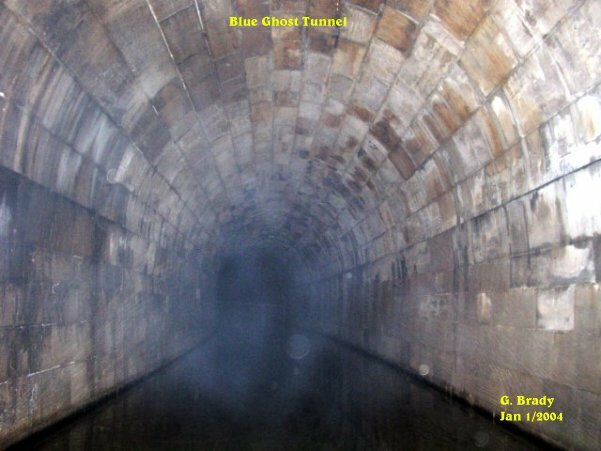 In all the other pictures I had taken at the end of the tunnel they showed the water, yet there were no rings in the water. 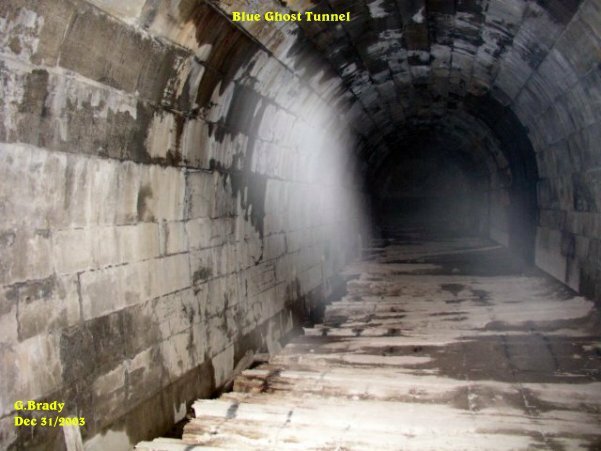 The BGT still holds a lot of mystery to the tunnel and we are sure there will be stories told about this place for a long time.